Susan is a medical writer specializing in health economic communications. Susan earned her Masters and PhD in Neuroscience from the University of Cambridge in Cambridge, England. Following her PhD, Susan gained industry experience as a medical writer and project manager working for health economics and medial marketing consulting firms. 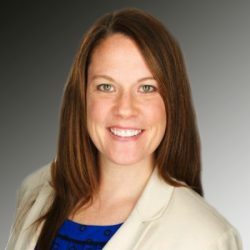 Susan has seven years of experience developing clinical and health economic communication platforms including global value dossiers, AMCP dossiers, value messages, clinical summaries, slide decks, and manuscripts for global pharmaceutical and medical device companies. Susan is well-versed in a variety of therapeutic areas, including autoimmune, cardiology, dermatology, gastrointestinal, nephrology, neurology, oncology, orphan disease, and respiratory conditions.